This June 13, 2017, file photo shows a store by children's clothing retailer Gymboree in New York City. 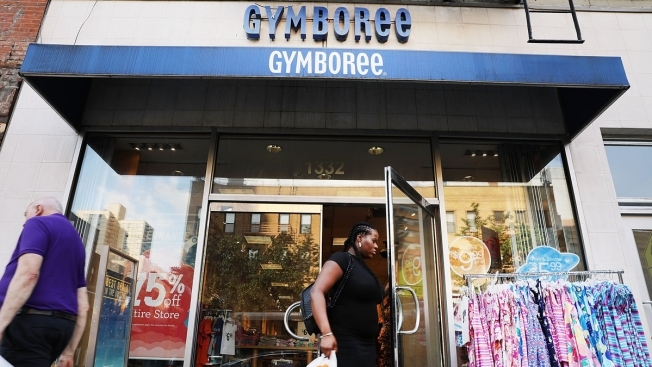 Gymboree is filing for bankruptcy protection for a second time in as many years, but this time the children's clothing retailer will begin winding down operations for good. The San Francisco company said late Wednesday that it will close all of its Gymboree and Crazy 8 stores, and attempt sell its Janie and Jack business, intellectual property and online business. Gymboree, which began offering classes for mothers and their children in 1976, runs 380 Gymboree stores in the U.S. and Canada. When it first sought Chapter 11 bankruptcy protection in June 2017, it ran 1,300 stores. The company has suffered in the post-recession years like almost all mall-based retail stores.